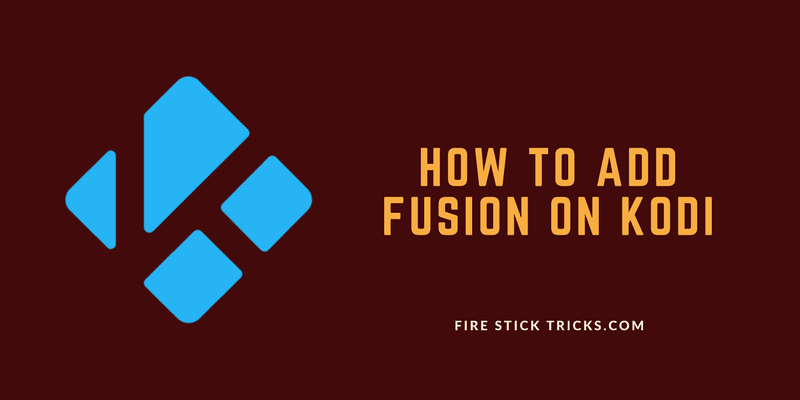 In this article, we will learn how to install Fusion on Kodi and how to install addons using Fusion. The method described in this guide works on all the Kodi supported devices including FireStick, Fire TV, Windows PC, Android smartphone, and tablets etc. 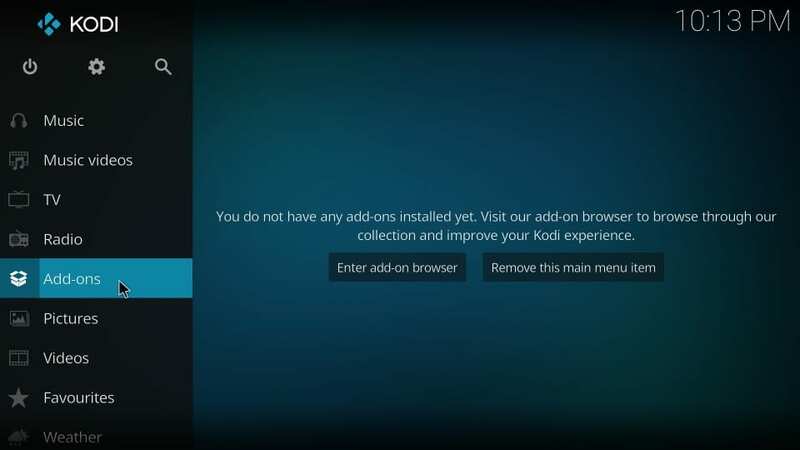 Kodi is a media player whose full potential is only explored through the compatible add-ons. The good news is that there are hundreds of addons out there for all kinds of needs and purposes. 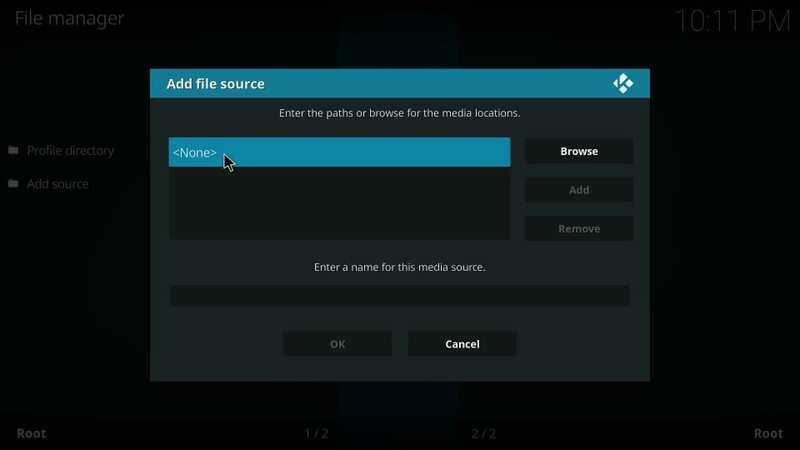 While video addons are the most popular, Kodi also supports various utility and maintenance addons that make this media player more effective. The only challenge is finding the right addon for your need. Most of us usually look up for each add-on individually. When you have many addons to install, this method could be inconvenient at best. Thankfully, you don’t have to do it anymore. 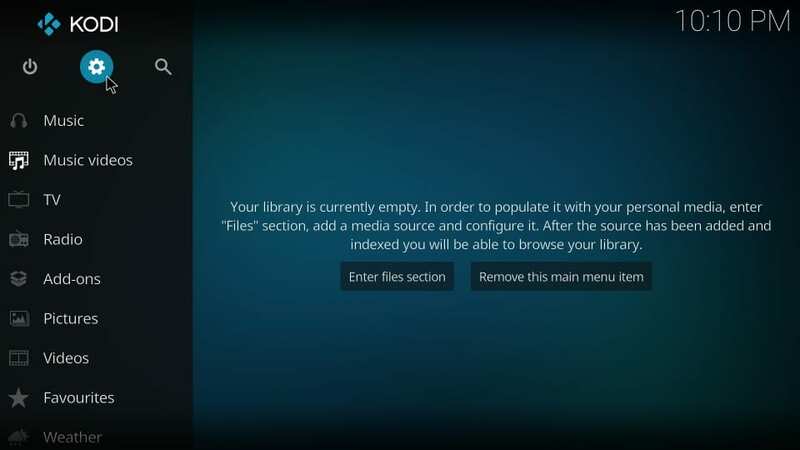 You can install Kodi Fusion, a source of tons of repositories and addons. Fusion addon was once taken down last year for a few months. But, now it is back and it is better than before. Let me now show you how to add the Fusion source to Kodi. 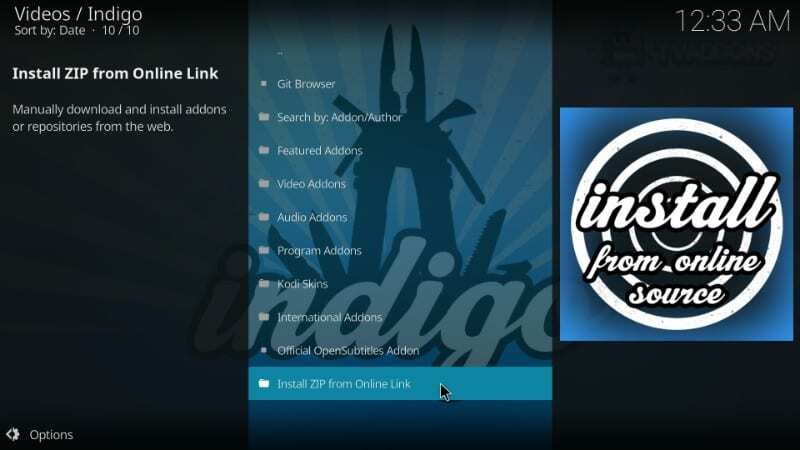 We will also learn how to install the Indigo add-on, which is further a source for a variety of addons. Later, we will also see how to install repositories using Fusion. Keep reading! 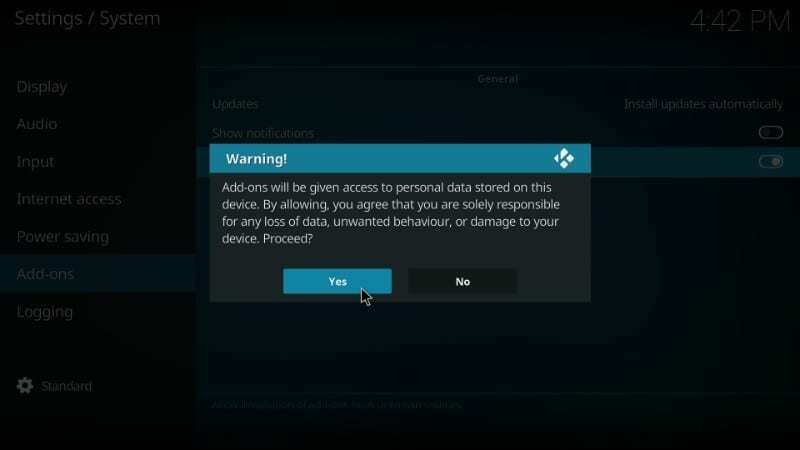 When you see the following warning message, click ‘Yes’. Fusion is a tested and safe source. 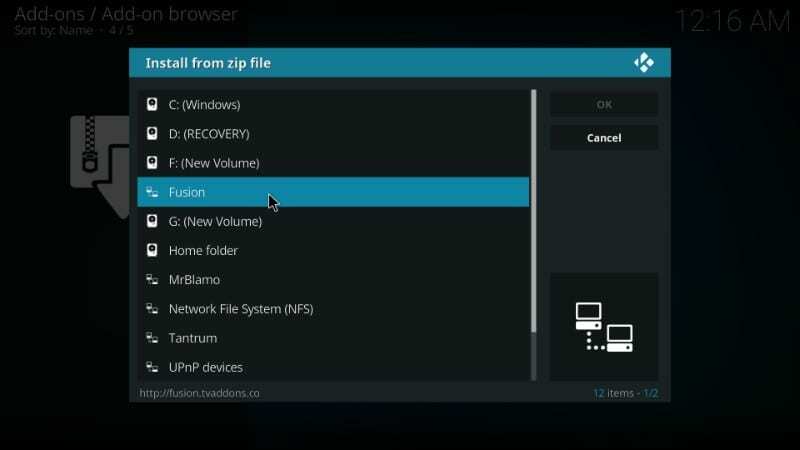 Fusion for Kodi is not exactly an add-on, but a source from where you can download several repositories and dozens of addons. So, we will first learn how to add the Fusion Kodi source and then we will see how to install addons like Indigo from it. 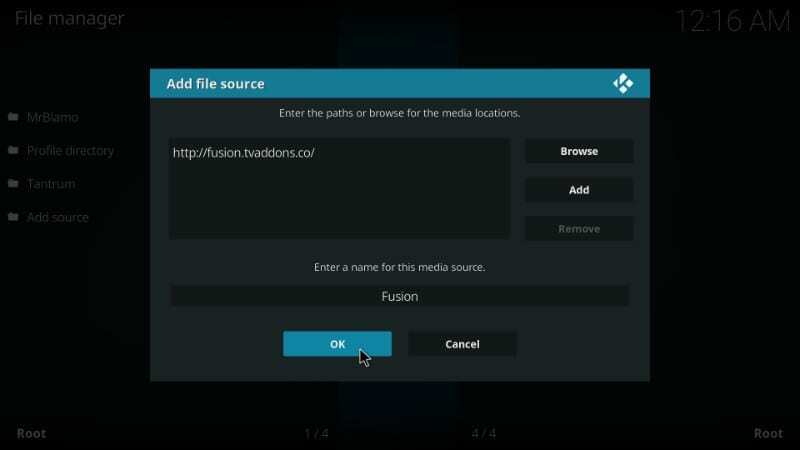 To add Fusion to Kodi, follow the steps below. 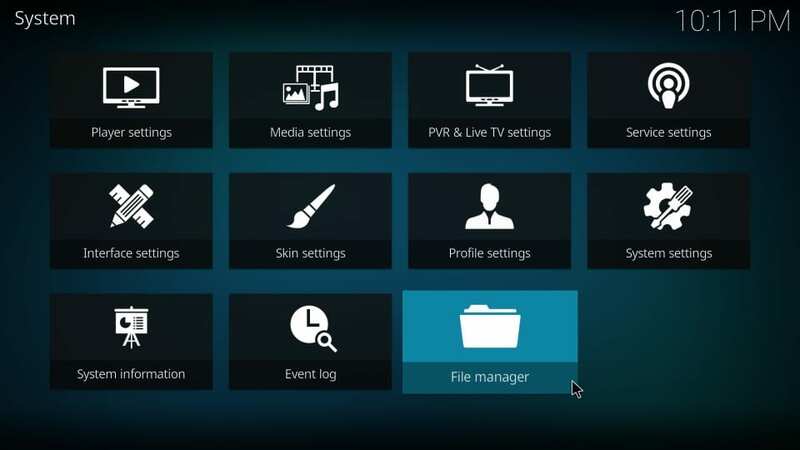 STEP 1: Make sure you are on the Kodi home-screen. Open ‘Settings’ option on the top-left. STEP 3: Now click ‘Add source’ in the next window. 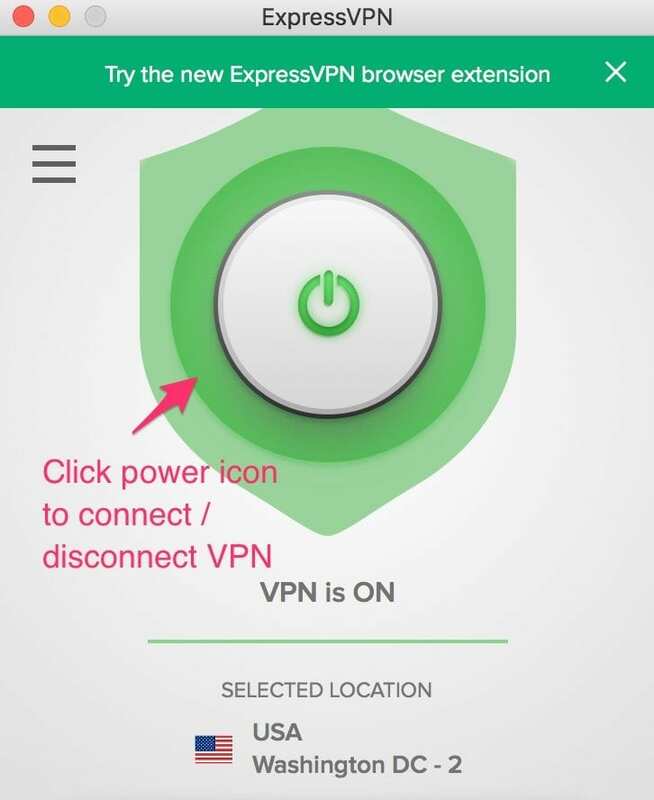 STEP 5: Type in http://fusion.tvaddons.co. Make sure you type in the address correctly or you will not be able to add the source to the Fusion repo collection. Click ‘OK’ once done. STEP 6: Now, in the ‘Enter a name for this media source’ type in the name you want to give to this source. I am going to name it ‘Fusion’. You may choose any name you like, but make it relevant. You have successfully added the Fusion installer source on Kodi. Now, let’s see how to access the source to install the repositories and addons. STEP 9: Click the ‘open-box’ icon at the top left. This icon is also called ‘Package Installer’. 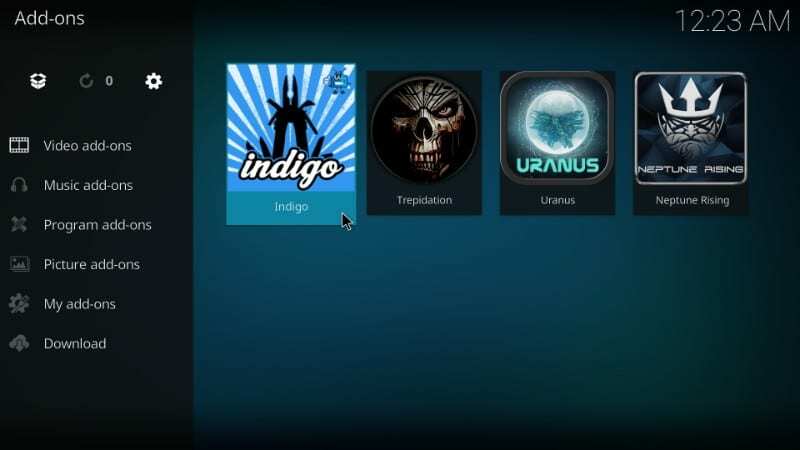 Indigo is the most popular add-on available through the Fusion installer. This is why it will be the first item we will install from Fusion for Kodi. 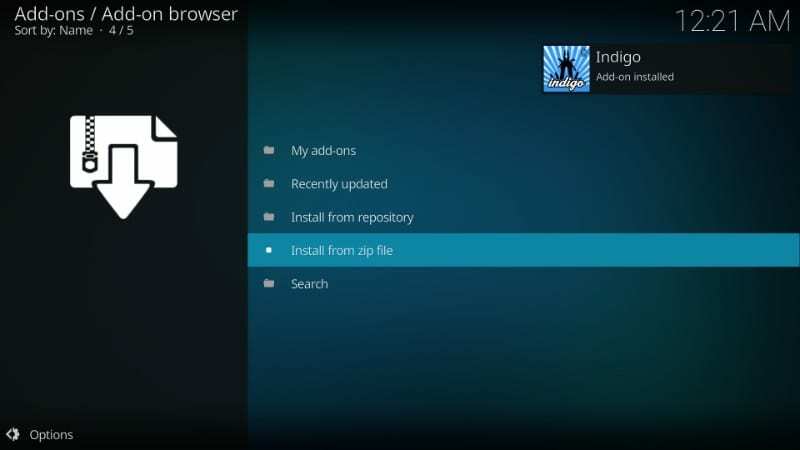 We will also explore Kodi Indigo addon together. 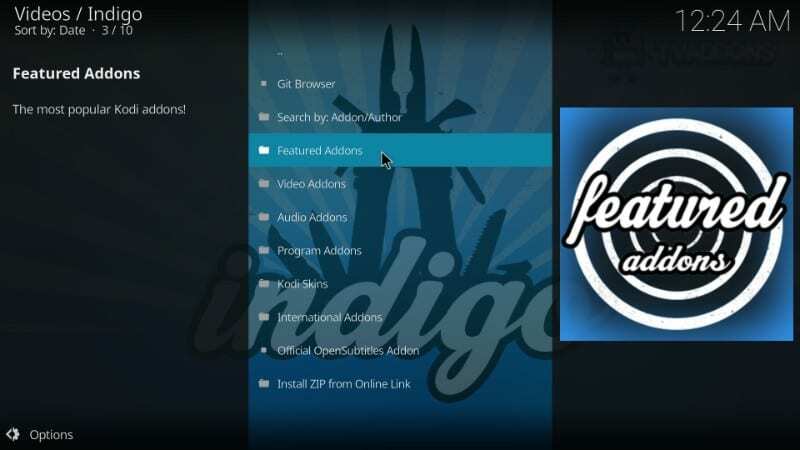 Indigo is a versatile addon that brings many tools and utilities and adds many functions to Kodi. 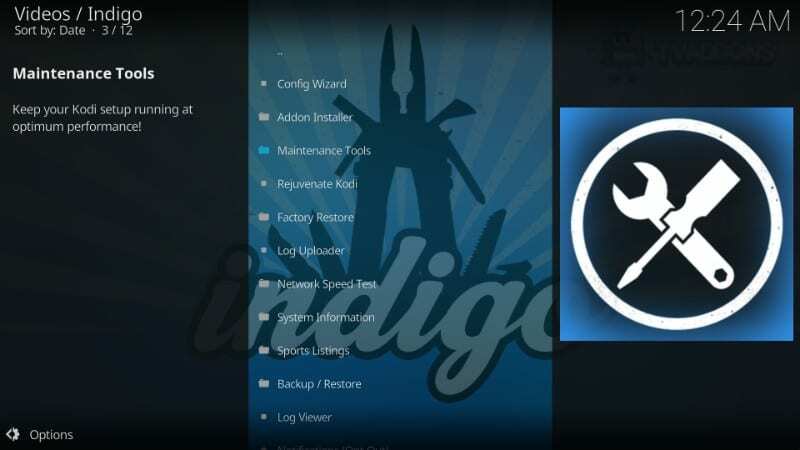 Indigo is most popularly known as the Kodi addon installer. This addon lets you install dozens of apps from its library in a wide range of categories including Fusion TVAddons, movie addons and a lot more. With Indigo, add-on installation becomes extremely easy. You can get any addon from its library with just a touch of the button. You can also install any addon from a zip file saved online by providing the URL to the file. 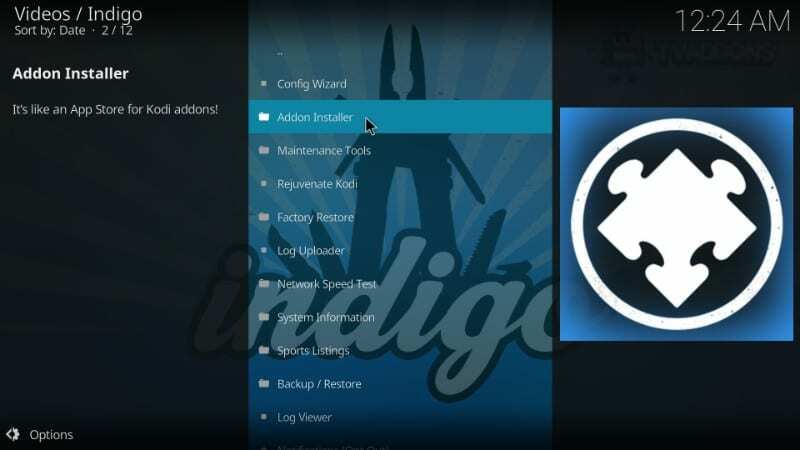 Here is how you can install Indigo addon. STEP 2: As we have already seen, Fusion is divided into three categories. Click ‘begin-here’. 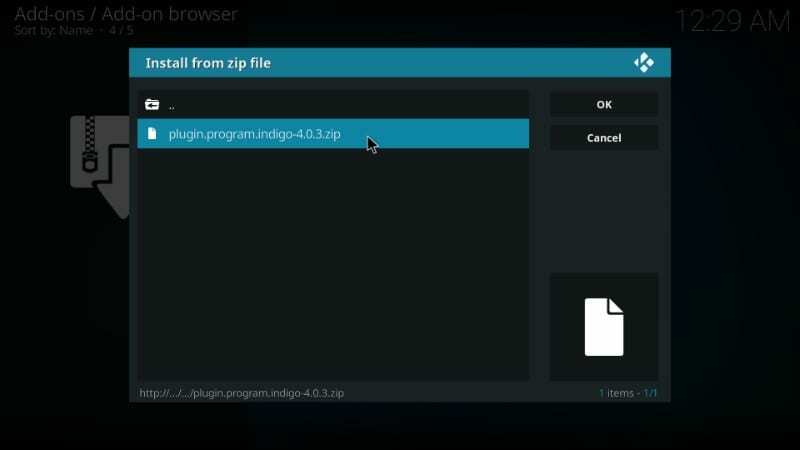 STEP 3: You should now see the zip file named plugin.program.indigo-4.0.3.zip. The numbers towards the end of the filename may change depending upon the version released. At the time of writing this article, it is 4.0.3. STEP 4: Now, wait for the ‘Indigo Add-on installed’ notification. This notification will appear on the top-right. 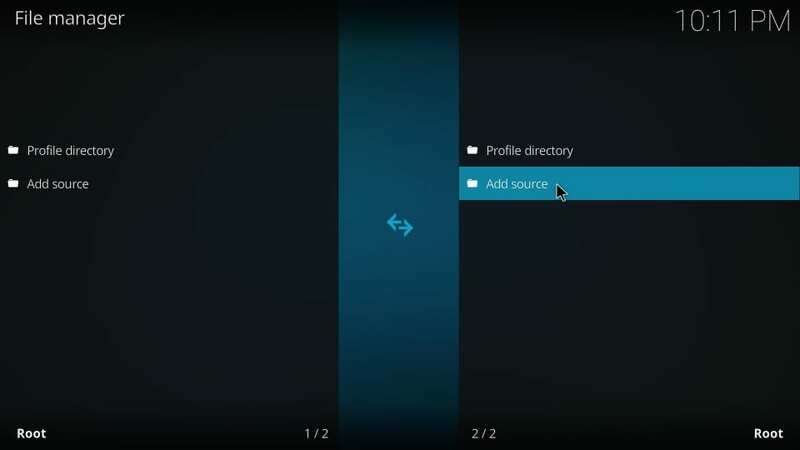 STEP 5: Return to Kodi home screen and navigate to Add-ons > Video Add-ons. You will find Indigo on the list of the addons. You can also access Indigo from Add-ons > Program Add-ons as Indigo is also a maintenance and utility tool. Open ‘Indigo’ from the Add-ons section. As you can see in the image below, Indigo offers a number of features and options. It has the Config Wizard, Addon Installer, Maintenance Tools and a lot more. Indigo gives you several options to install the addons as is evident in the image below. ‘Featured Addons’ shows the most downloaded addons first. You can also explore addons by categories such as Video Addons, Audio Addons, Program Addons, etc. Go ahead and open any option you like and explore it further. Indigo also allows you to install any addon that is not available in its library. What you need is a link to the zip file. Click the ‘Install Zip from Online Link’ option and enter the URL of the zip file. Indigo will install the addon without any hassles. That’s pretty much it about the Indigo addon. Let us now explore the Fusion installer further. Indigo isn’t the only add-on you can install through Fusion. In fact, Fusion has a huge collection of all kinds of repositories. I will now show you how to access Fusion’s library of repos and how to install them. 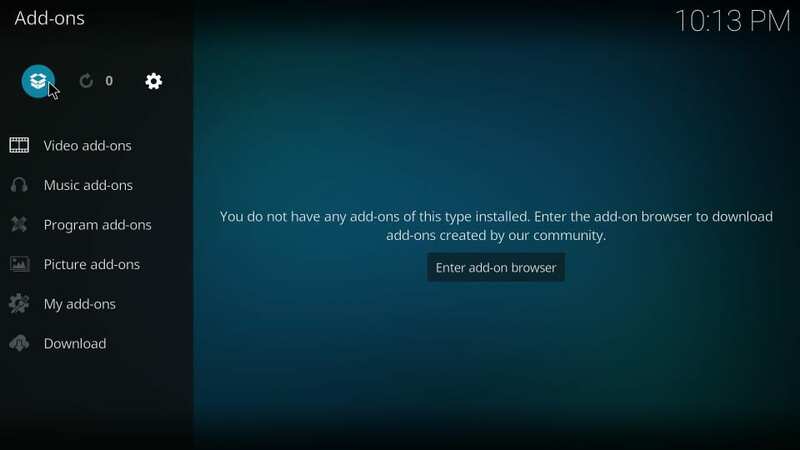 When you are on the Kodi home-screen, open Add-ons and click ‘Package Installer’ icon on the top-left. Now, click ‘Install from zip file.’ Next, click ‘Fusion’ source that we added earlier. As already, discussed, you will see the following three options. This time, click ‘kodi-repos’. This is the place where all the Fusion repositories reside. In the same way, when you click ‘International’, you will find all the repos in the International languages. 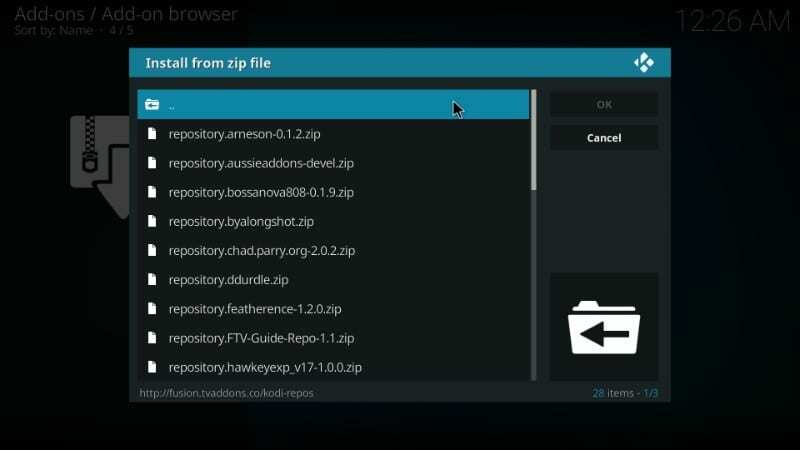 Click the zip file of the repository you wish to install and Fusion will install it on Kodi for you. Adding Fusion to Kodi seems like a good idea to me. It has worked out pretty well for me indeed. I can get most of the addons I need through one of the repositories Fusion hosts. I have also installed Indigo addon and it lets me install any addon I want that is not the part of Fusion library. 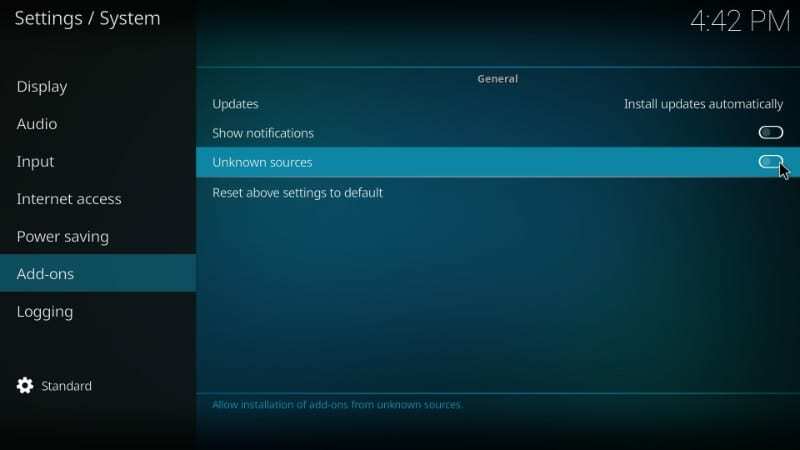 Fusion for Kodi is especially recommended to those who keep installing addons regularly. I hope this article was of help to you. If you have any questions or comments about Fusion Kodi, feel free to let me know through the comments section below.